This is something which every pool wants! Its a simple yet classy swimming pool railing with different style of glass. 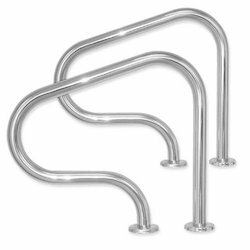 We offer high quality Straight Handrail used in swimming pools. 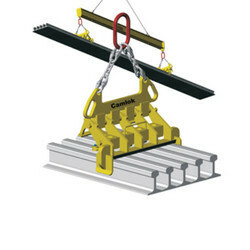 We are the best in this market for offering the wide array of Grab Rails for our desired clients. We have marked a distinct place in the industry by offering a supreme and quality tested assortment of Swimming Pool Railings. These are used to provide support on swimming pools or staircase.In addition to this, these products are tested on numerous factors by best industry experts before finally dispatching to our clients. We are a leading manufacturer and supplier of a vast range of Swimming Pool Hand Railings. These hand railings are manufactured using optimum grade stainless steel following industry set guidelines. Available in various specifications, these hand railings are in adherence with international quality standards. We are offering elegant and well designed SS Swimming Pool Railing 304 Quality.